Re-Love Your Skin: The skin is wonderful, isn't she? Protecting us against almost anything - our very own superheroine. Yet, because she's so tough, she's often neglected. 'Truth is, the skin is delicate and sensitive, needing constant care and love. That's why we present you Dove Sensitive Body Wash: the mild and gentle re-love your skin deserves. Mild & Gentle: Perfection. 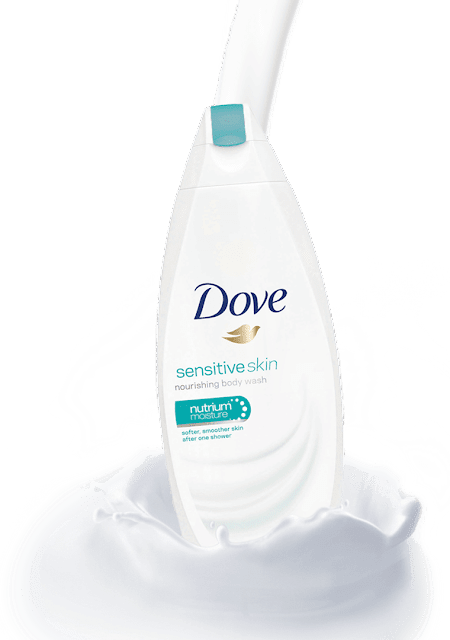 Dove Sensitive Body Wash cleanses while still being mild and gentle to any skin, even the sensitive ones. Your skin is okay-ish in her relationship with you, but she deserves better. Shower her the re-loving she longs for with Dove Sensitive Body Wash! Request Your Sample: Help yourself to a complimentary sample of Dove Sensitive Body Wash and start re-loving your skin! One last thing... Do note that your details cannot be changed once submitted. Are you sure you want to proceed? Thank You! Please allow up to four weeks after the end of this campaign to receive your sample. In the meantime, share the re-love with your loved ones, too!